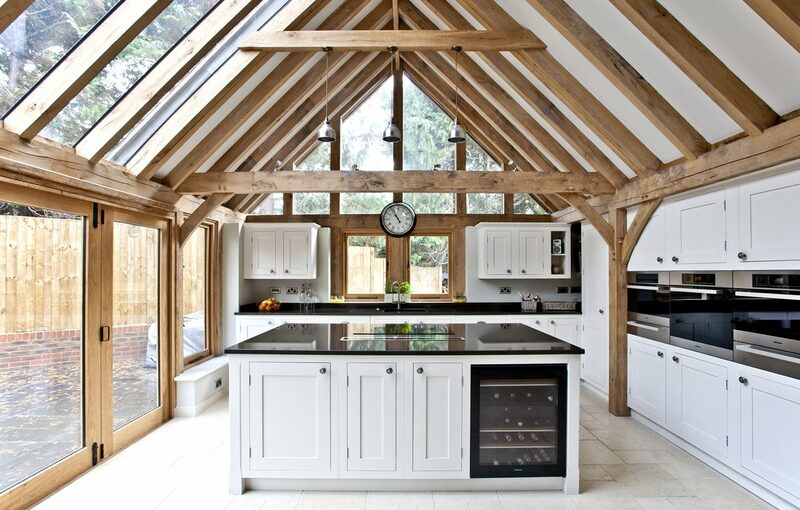 To create the space that could house their perfect traditional kitchen, this family had a purpose-built barn constructed to contrast with their home, linking it to the house via an integral hall. 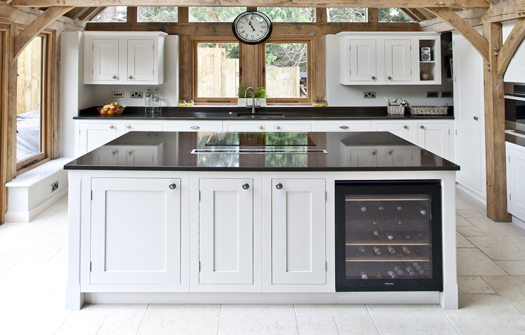 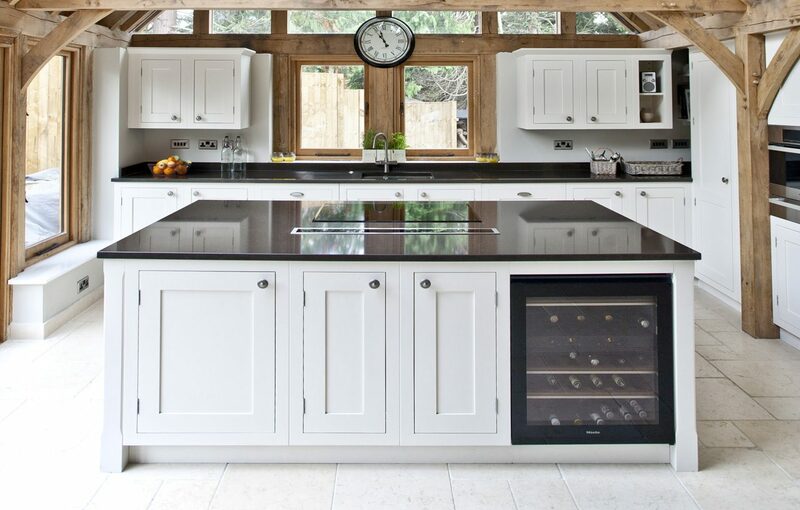 We designed a painted Shaker-style classic kitchen with stone floors to enhance the oak beams of the building. 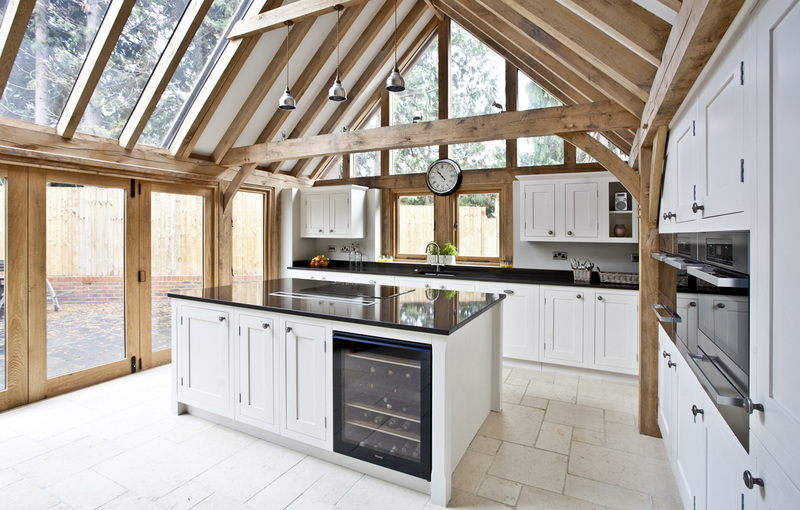 Bespoke units were designed to fit naturally underneath the beams and were checked carefully at each stage of building to create a perfect fit. 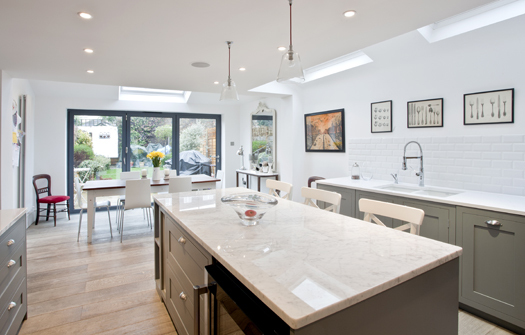 Whilst the overall scheme was traditional, modern appliances were a must for this family. 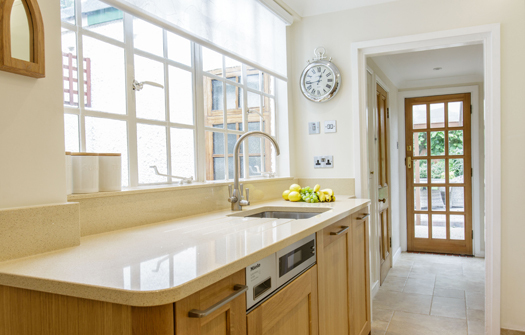 These were integrated flawlessly throughout the kitchen to make sure they did not dominate the overall design. 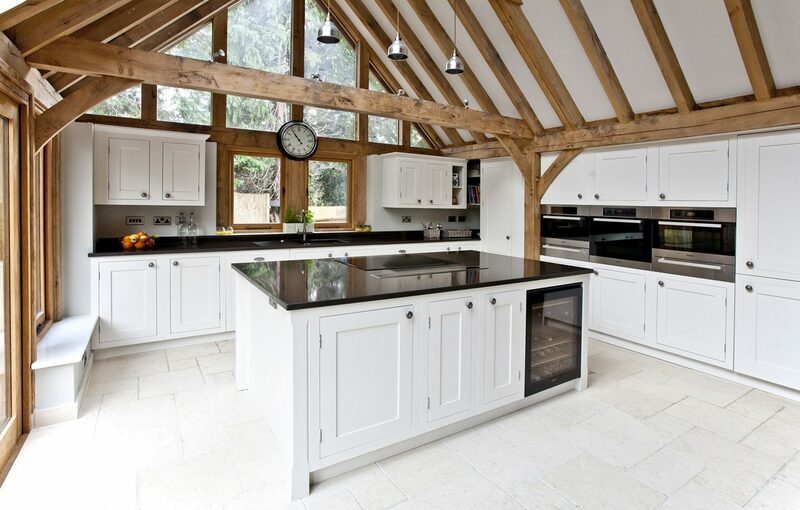 The family chose a dark worktop to further complement the unique barn structure.